This is a set of 16 NyLock lug nuts for mounting aluminum wheels. These will not back off from vibration. 1 Large O-ring and 1 Small O-ring to fit all Aftershock Motorsports replaceable dome FL350 R heads. Wrist pin cir-clips for pistons with 18mm wrist pins. 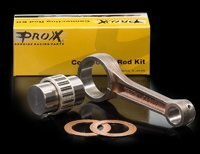 This puller allows removal of a Power Bloc without damage to the clutch or crankshaft.